BSD: With your whole family? EI: Yes, all of them. BSD: You lived her for 3 years? BSD: You speak English too, don’t you? EI: Yes, a little bit. BSD: So you have been long down South? 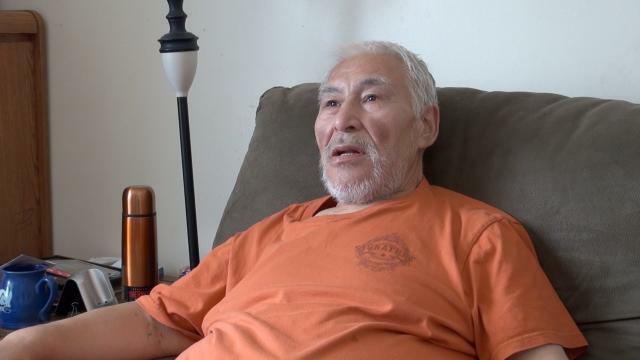 EI: Yes, 3 years I been down South…in the hospital. BSD: And after that you came back…. EI: Yes. After 3 years I come back home…. 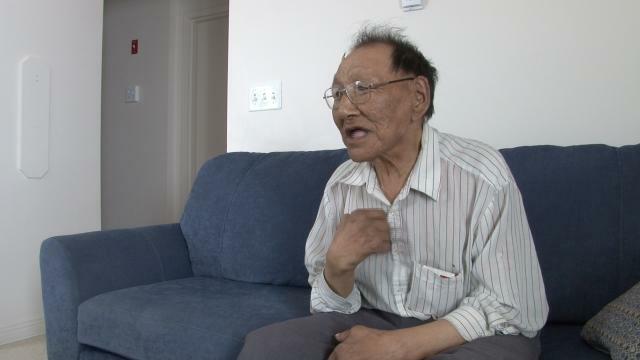 To Igloolik … and I’m staying here a long time now. BSD: And when did you become President of the Coop? EI: About 6 years ago. 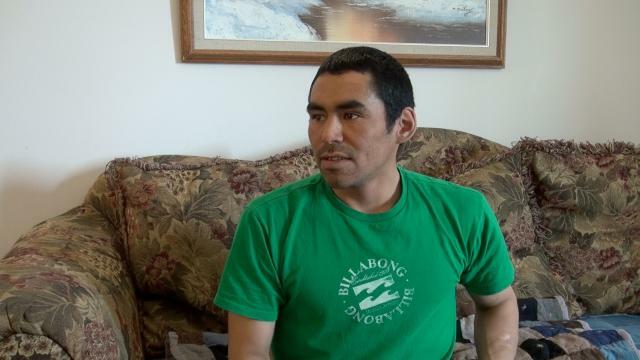 BSD: So you stayed in Igloolik two years…. 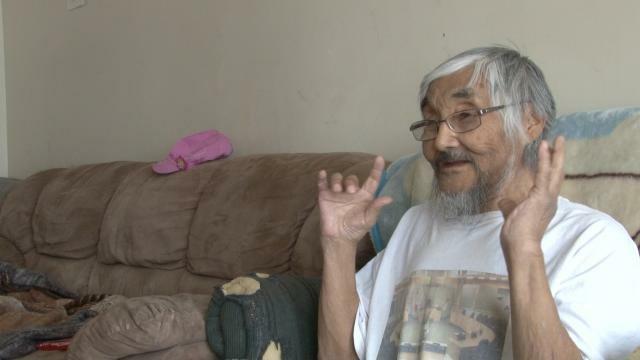 EI: Yes, two and a half years I been in Igloolik. 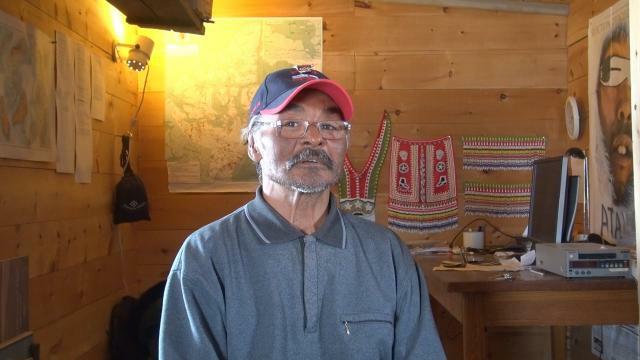 BSD: And why did you decide to leave the town and to come back to live on the land at Steensby Inlet with your family? 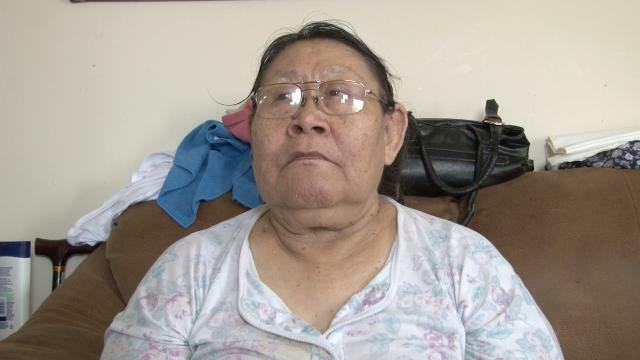 EI: Because I’m thinking a different way…because I’m an Inuk, and I want to teach my brother, he’s been in school in English, and he doesn’t know how to do hunting like Eskimos, like that, I want to teach him, that’s why I moved out. And my wife, too, is not pretty well, not healthy, and I want to try to go out on the land with my wife, I thought maybe it will be a little help for her, more healthy. Yes, it was a little better for 3 years, this year, she fell a little bit back again, she was sick this month. BSD: You are now like a symbol for the Inuit. In the time when all the people are going to the settlement and stay there, you are the guy who starts to come back to the country, to a new camp and to come back to the way of life of your ancestors. BSD: So you live according to the old traditions….? 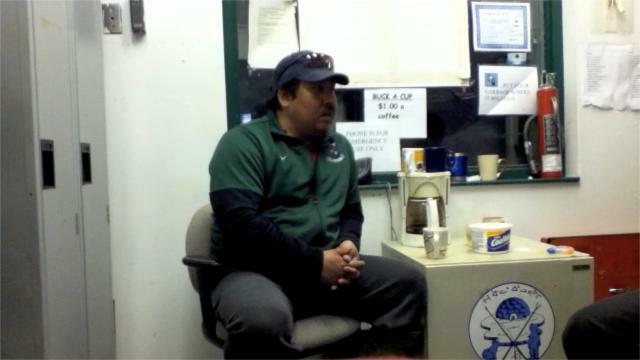 EI: Not really, but almost… but we try to teach our young people the Inuit culture. Our culture is threatened. Our young people go to the school of the Whites but they quit before they can finish there. In that way, they lose their own culture, but they don’t really learn the culture of the Whites. They are lost. So we come back to teach them. They have nothing they can do. They’re trapped. They have lost the knowledge of the importance of life……. 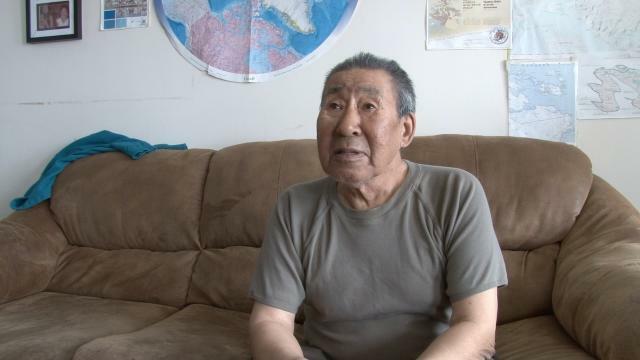 If we know how to teach them the Inuktitut way of Inuit, then maybe they will be able to choose really between the two cultures, instead of staying trapped between them. 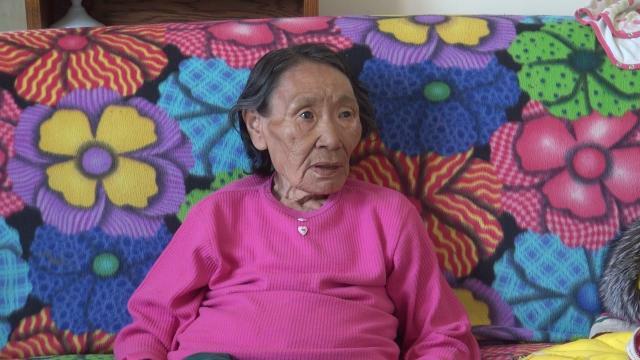 Atanarjuat Song by Paingut Pauloosie, translated in English by Zacharias Kunuk. I’m going to sing my Ayaya song. I recorded it once, thinking I would lose the tune. I broke it into segments and found out it’s a tune sung by Atanarjuat. I’m going to sing a segment now. Aya. I found it beautiful, just beautiful, as we started travelling inland. Dog teaming on the land, it’s hard to sit on the sled as you move across the land. Running along now through this wet snow, we don’t think of how tiring it is. We travelled on land and passed the black mountain (Mary River). What a beautiful site, this beautiful land. I remembered my childhood. But when I tried to sleep I couldn't. When our men went hunting, it’s lonely in this beautiful land. Was I afraid to be alone? My cousin and I are alone now. When my cousin went outside, I was alone. I was afraid. When she didn’t answer, I was afraid. Are you leaving because I’m afraid? When I went outside, I saw my cousin standing behind the tent. When I saw her, I was glad. When I became happy, I started just laughing. This is a true story; my song happened. 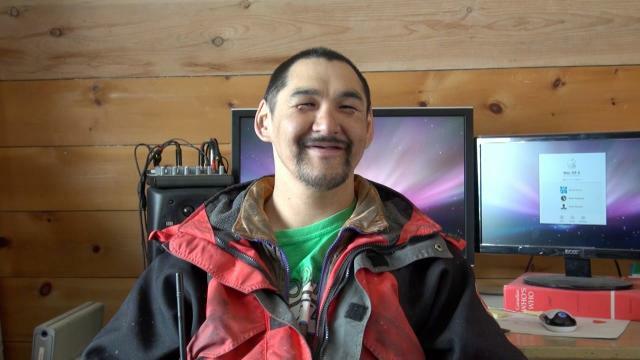 We travelled by dog team in the summer to hunt caribou from Arctic Bay. 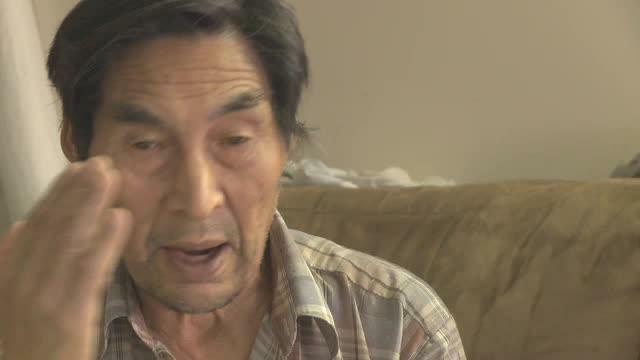 Emile Immaroitok talks to anthropologist Bernard Saladin d'Anglure in the 1960's, 10:01 ᓂᐲᑦ ᐃᓄᒃᑎᑐᑦ in Inuktitut and in English, with French sub-titles. 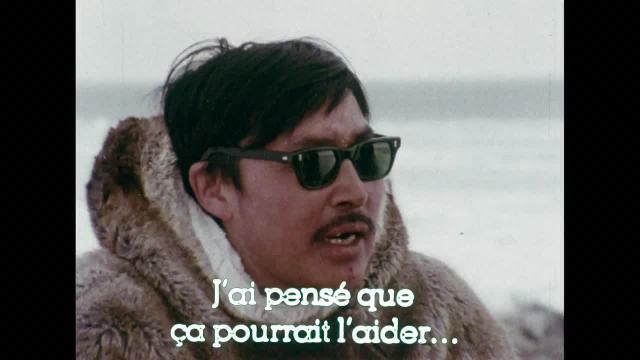 This video is part of Bernard Saladin d'Anglure's 16 mm film based on his work with Inuit in Igloolik during the 1960's. For the complete film, see the version with French subtitles of with English Voice-over. 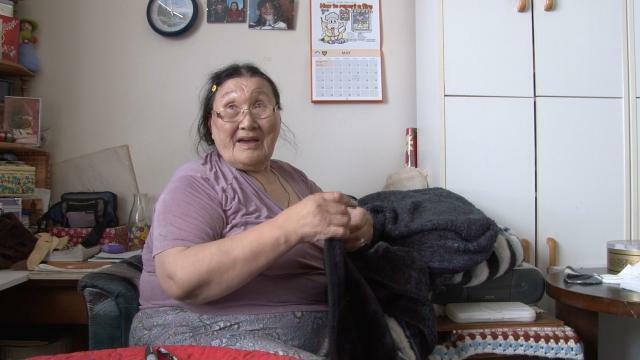 Assembled by Carol Kunnuk into a 10 min trailer of the videos that Zacharias has filmed in the number of years out on the hunt and in the community of Igloolik, camera Zacharias Kunuk, editor Carol Kunnuk.